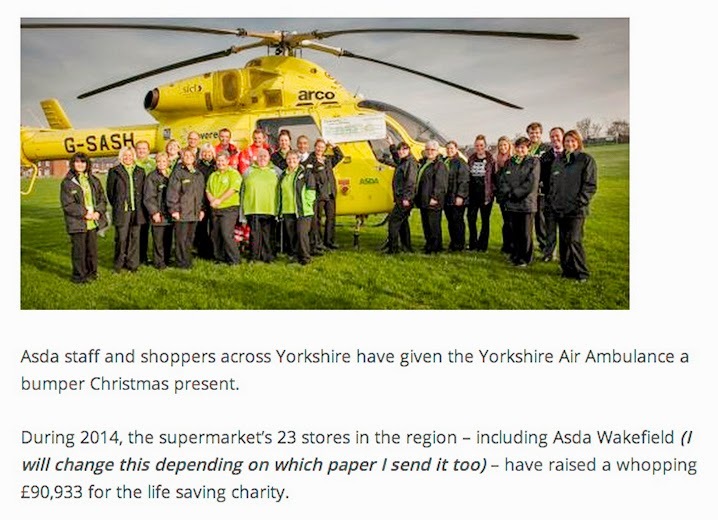 Listen, I'm not feeling too good today so do you think you could finish off the press release for the Air Ambulance news section, please? You'll find the copy in that email I sent them. You meant well, Will, but try engaging brain before posting next time. Oh, and Amy, not to put too fine a point on it, it's 'to', as in 'to which paper I send it'. Not 'which paper I send it too' which means 'which paper I send it also'. Which is rubbish. Probably just how you're feeling right now.